Adding telemedicine services to the local mix can leverage broadband investment in ways that benefit everyone – businesses, libraries, schools, families, and patients. 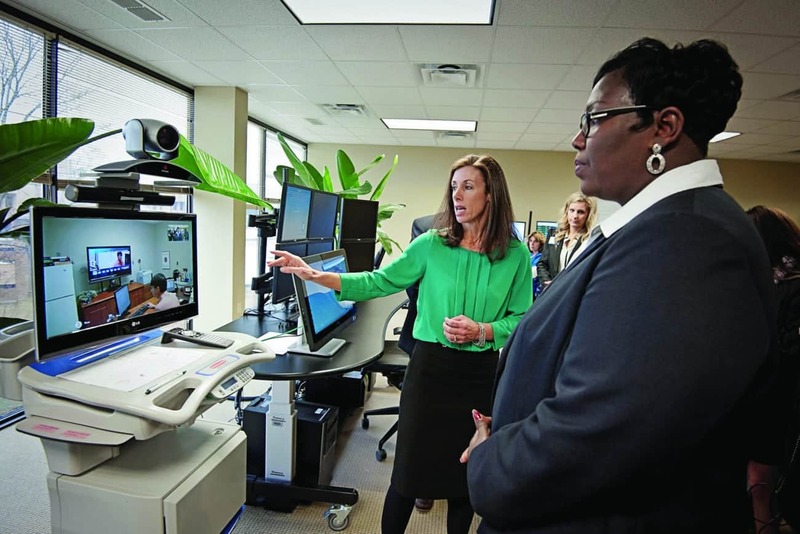 The high rate of rural hospital closures is one factor driving the increasing interest in telemedicine, which uses high speed internet services to connect patients with healthcare providers. What some may not understand is that the push for telehealth may very well be the secret to advancing broadband itself in underserved communities, both rural and urban. Telehealth is not a specific service but a variety of technologies and tactics to deliver virtual medical care, wellness, health awareness, and education in a holistic manner. Broadband is a major part of that delivery mechanism. Telemedicine is using intranet or Internet networks to diagnose, administer, initiate, assist, monitor, intervene, or report a medical condition or procedure. Besides rural hospital closings, the lack of qualified physicians, nurses, and other healthcare professionals are factors in telehealth discussions. Many of these professionals prefer an urban lifestyle . While about 20% of the U.S. population is rural, only 9% of the nation’s physicians practice in rural areas, according to the Bureau of Health Professions. In the U.S. overall, other factors contributing to telehealth’s popularity include rising healthcare costs, upcoming regulatory policies, an increase in chronic diseases, a shortage of physicians, and increasing funding for telehealth. With many community broadband network projects, the main emphasis is on drawing new businesses into town or keeping current businesses from leaving. In 2006 a Danville, Virginia, public utility, for example, launched a fiber network (nDanville) to try to reverse a sinking local economy. As the momentum for community networks builds, maybe it’s time to shift these projects’ focus to telehealth. In healthcare there is a concept called “continuum of care.” This is a system of providing a comprehensive array of healthcare spanning all levels and intensity of care. A “healthcare hub” that uses broadband to link a city’s or county’s hospitals, clinics, other healthcare providers, and private practices can strengthen and expand the continuum of care. What telehealth, prenatal care, mental health, or preventative care entities exist in a community? It is estimated 90% of all self-insured businesses will have some form of telehealth in the workplace because it has a provable ROI. If a community has one or two of these, maybe they could be part of the hub. By aligning healthcare institutions with schools and libraries that have telemedicine applications and services into a healthcare hub, a community can produce a powerful infrastructure. This infrastructure triple play (health, education, libraries) also can become a fundraising triumvirate. An engineering design team can create a wired and wireless infrastructure that links all three groups into a mini network. Then the community, via the local government, public utility, co-op, or a public-private partnership that constructs and operates the network, can apply for the FCC’s E-rate reimburses fund (libraries and schools). The FCC’s $400 million Healthcare Connect goes to healthcare facilities. There are several other federal agencies with funds devoted to broadband, including the Department of Agriculture’s Rural Utilities Service (RUS). RUS is well known for its large loan program that helps entities build broadband networks. They also have the Distance Learning and Telemedicine grant program devoted to areas that already have broadband. To the uninitiated, this pursuit of FCC and other federal government funds may seem easy. It’s definitely not. However, undertaking the due diligence and creating a strong business case in preparation to pursuing these grants should open up additional opportunities for funding, even if the community doesn’t receive agency grants. Funders pay for the benefits a particular technology product or service delivers, not necessarily for the technology itself. People may not know a gigabit from of giraffe, but they will pay for broadband that enables an elderly parent to stay safely in her home, or people working two or three jobs to have video medical check ups. Craig Settles is a broadband industry analyst, consultant to local governments, and author of Building the Gigabit City. His latest analyst’s report is Telehealth & Broadband: In Sickness and In Health.